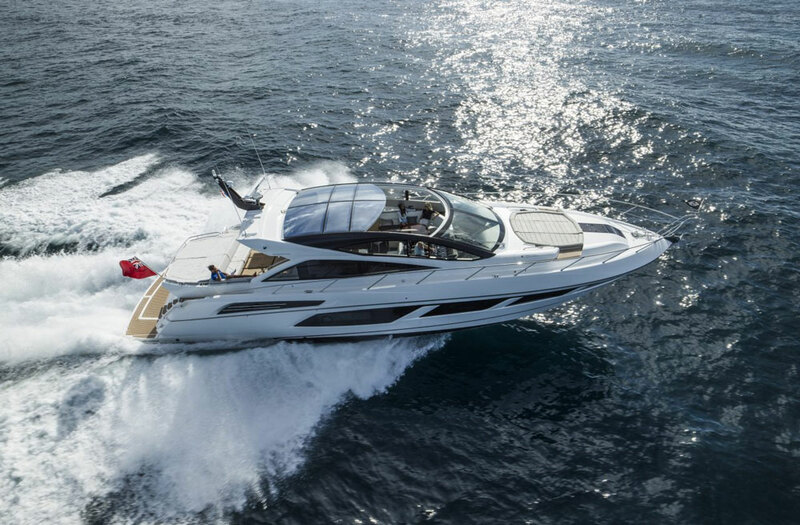 The Sunseeker Predator 68 puts the “power” in powerboat. Sunseeker’s Predator 68 is a hunk—this express cruiser sits there at the dock with the kind of taut muscularity you can’t dismiss. The lines, which take their cues from Sunseeker’s scene-stealing Predator 80, have an aggressive swoop that turns heads, yet they’re also clean and strong, and so they should stay smart for years to come. 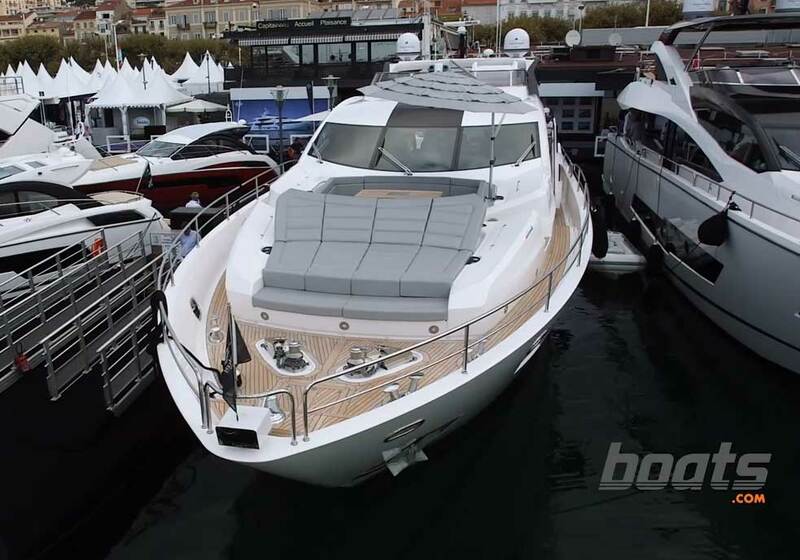 With a top-end of over 30-knots, this 40-ton beast is impressively light on its feet. And that's why it's a Predator. This recent release from the English manufacturer of semi-custom builds is somewhat of a tough-guy, too. While the 68 is a sophisticated-looking sport yacht, it has an edge when it gets down to performance. Like all Predator models it’s a driver’s machine, a boat with robust acceleration for those who actually like to get behind the wheel of a powerboat, not just loaf along in a colossal featherbed. 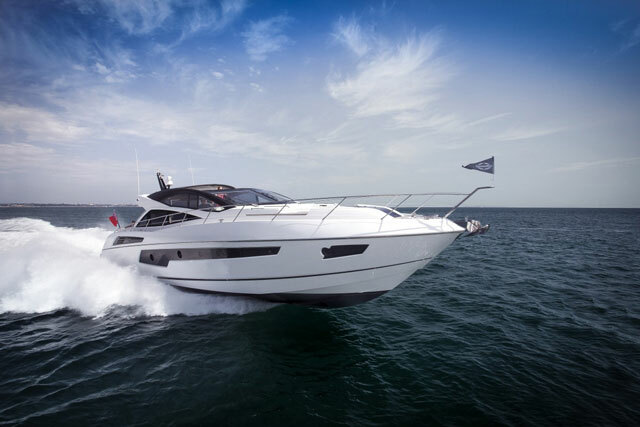 With the 1,270-hp MTU diesels throttled way up, this Predator will blast out of the anchorage at 33 knots and then settle into a less-than-sedate cruising speed near 24 knots. With a range of 300 nautical miles, it can take you places, too. 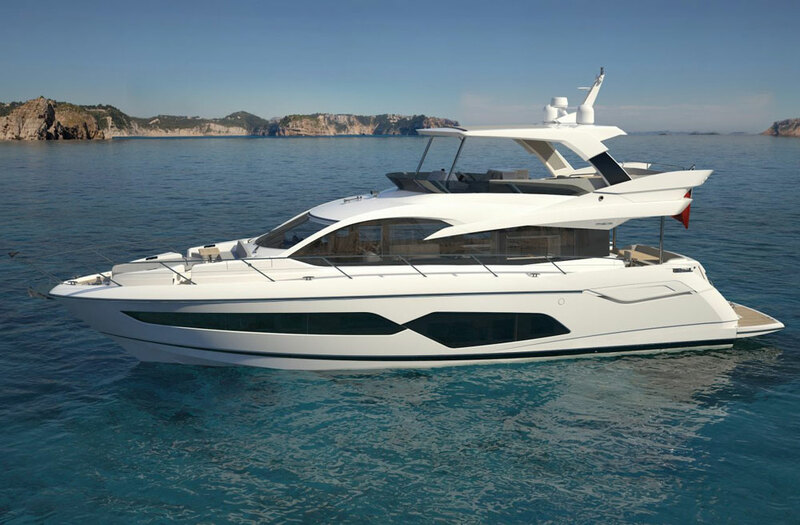 Featuring three staterooms, each with en suite head, the Sunseeker accommodates up to six people, all of whom will be comfortable. As in, very. That includes the skipper, who gets the full-beam master stateroom amidships. 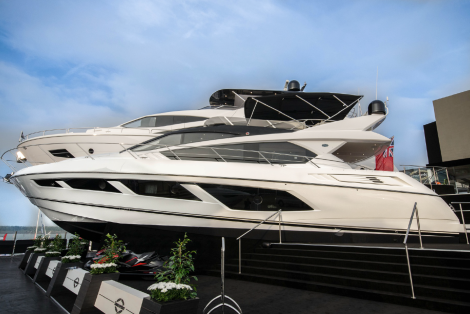 In this space, those familiar with the Sunseeker line will notice how this model showcases more glazing than ever. This Predator, it seems, is about keeping things light and bright and bringing the outdoors in. We like the way the saloon is on the same level as the cockpit, to create one seamless space when the glass doors on the aft bulkhead are open. Walk out of the cabin and into that cockpit, and it’s all about sun and fun with an oversized L-shaped lounge to starboard, summer kitchen/wet bar to port, and aft, a sun pad that looks to be the size of a yoga studio. 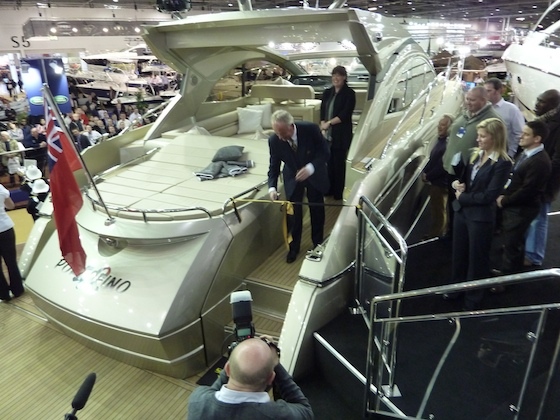 From the cockpit, two sets of steps lead down to a hydraulic swim platform. Tucked into the transom are crew quarters for two. At 71’2” (LOA), the Predator can be operated by the owner, but if you want to relinquish the wheel to professional hands to enjoy the sun and views, that’s doable, too. 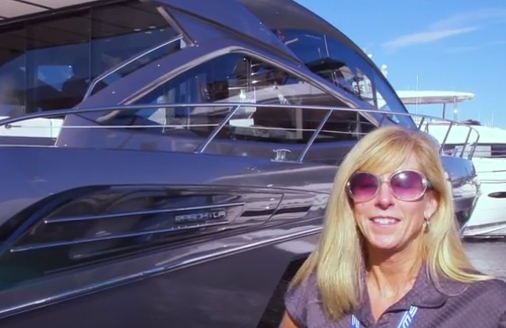 Viscerally, the Sunseeker Predator makes a lot of sense. Your accountant might give the price tag (near $2.3 million) the gimlet eye, but take that bean-counter out there for a spin—he too will fall in love. 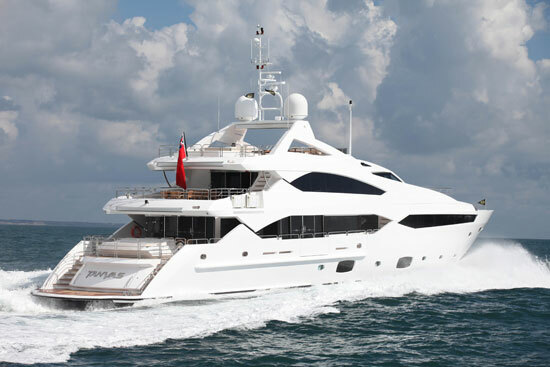 See Sunseeker Predator 68 listings. 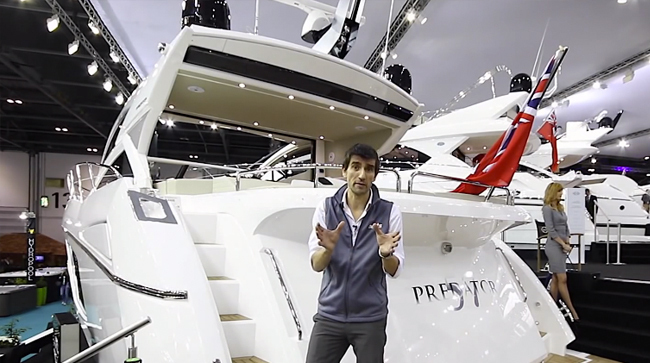 For more information, visit Sunseeker, or watch our First Look Video of the Sunseeker Predator 68.